April 21, 2011. I have officially begun the Leaf-buying process by calling the toll-free number and convincing them that I don't need a site assesment. April 22, 2011. I decide against bying a new car. Why? Noting more exciting than the fact that I don't need another car. 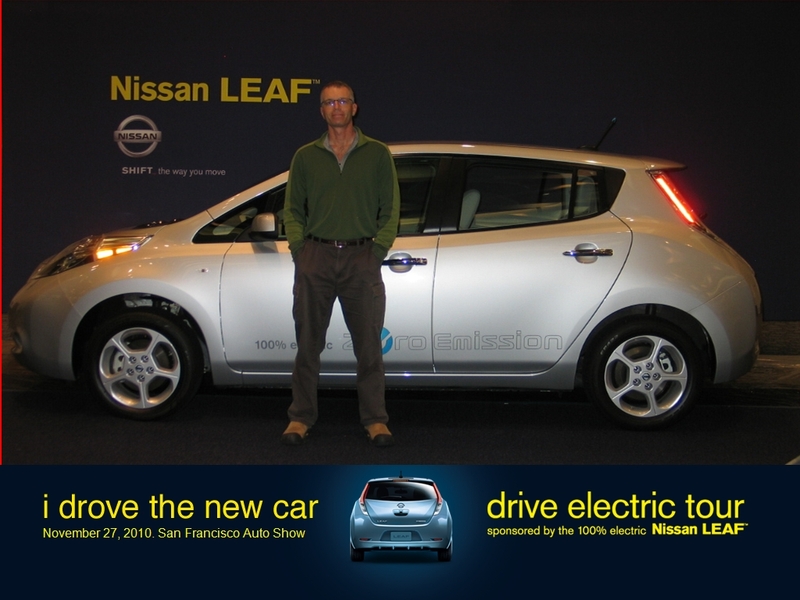 I test-drove the Nissan Leaf on November 27, 2010. And all I got was this lousy picture. The car is OK, but I'm way better looking in person. The indoor test track. Literally a ballroom with plastic over the floor. I wrapped up some of that plastic, I'm here to tell you! Mark Larson did a fantastic job with his review, so instead of spending the time to write my own, I think I'll just send you to his page. 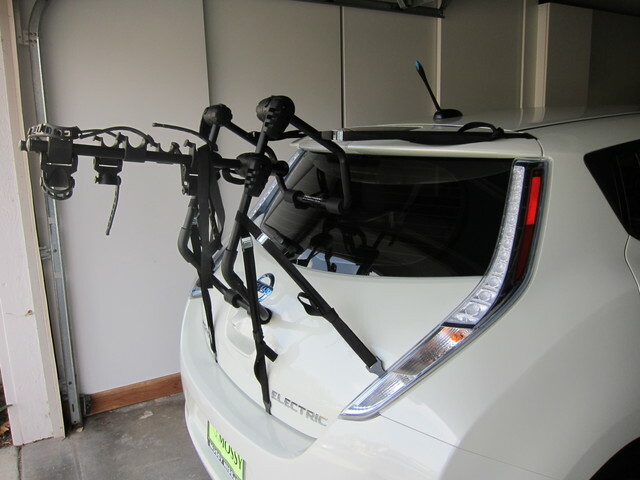 What sort of cars work best after a disaster? 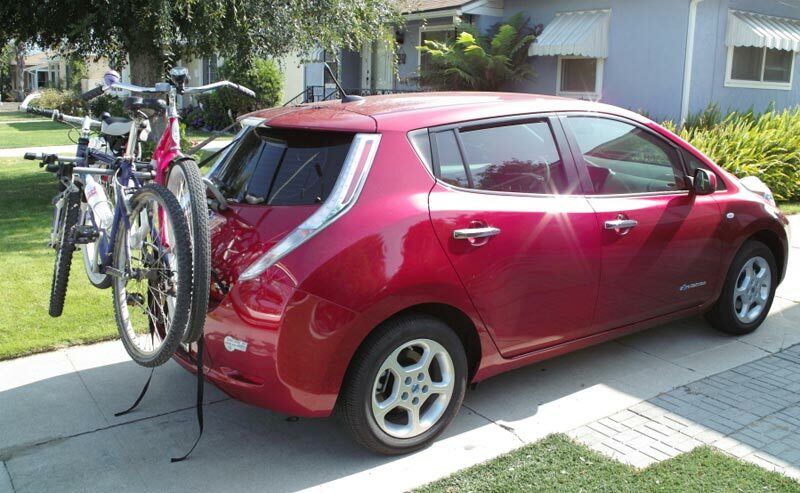 Compare LEAF and VERSA ownership expenses. Battery range for various scenarios. 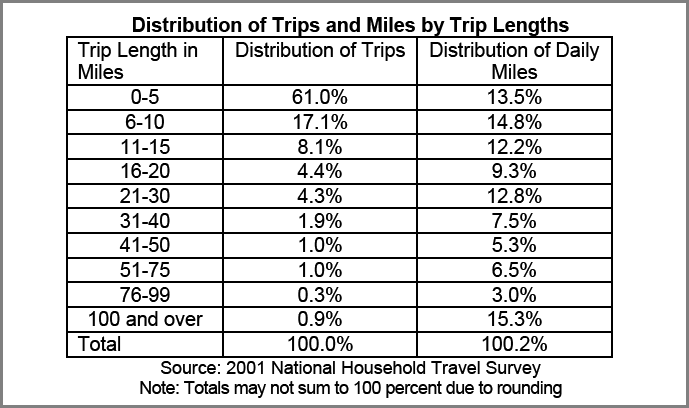 Great chart to see just how far we normally drive.